The Russian Revolution excited men, and captured their imaginations. It seemed to herald the fulfillment of the nineteenth-century socialist movement. Socialists believed that with the proper use of technocracy they could scourge poverty and hunger from the earth. They felt that a social system based on equality and social justice could overcome the traditional division of each society into rich and poor. They were convinced that they could overcome social problems that, seething and bubbling beneath the surface, threatened to be as destructive as wars fought between great powers. These were the ideals and objectives of both 1917 revolutions. They were exciting and contagious. The Russians were seen by many as being on the threshold of a new and great experiment, one which would lead the world to peace, democracy, and security-the dream of ages. Support grew quickly. A worldwide movement committed to the extension of the ideological and moral principles of the Revolution and to the defense of the Soviet Union grew and became a significant factor in world politics. It did not turn out that way. Much of the story of this tragedy is to be found in labor struggles-the split between the Communist Party, the trade unions, and the workers. 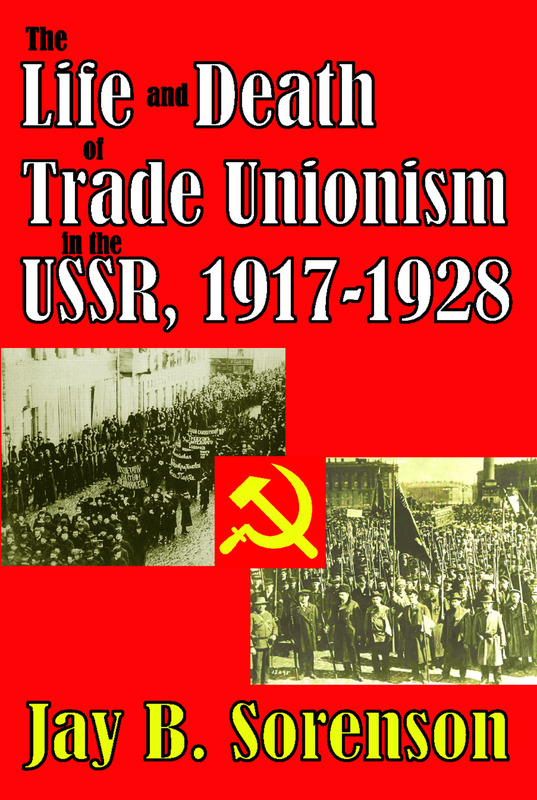 The labor movement, which had been pushing for a democratic alternative, turned against the Bolsheviks soon after 1917, and labor opposition left the Bolsheviks at the crossroads of history. The Bolsheviks had to choose between dictatorship or democracy. Under Lenin's guidance they opted for minority dictator ship, the outcome of which was tyranny over the very people in whose name they fought. This classic volume, originally published in 1969, has not been surpassed as a description of how and why this occurred.